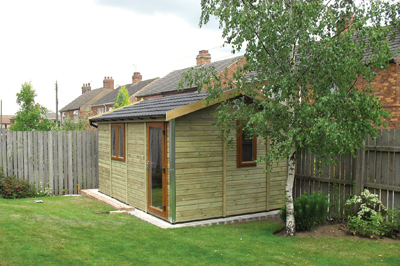 Pro Workshop sheds have flexibility designed in so you can tailor one to suit your needs. There are two main building-shell styles to choose from â€“ the Pent, which has a flat roof; and the Apex, which has a pointed roof - both of which can be constructed with or without a veranda. 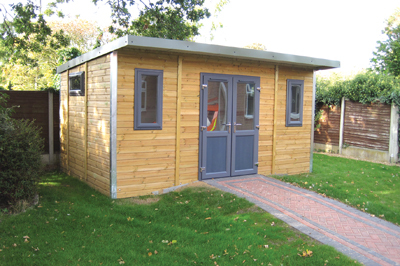 The Pent design keeps workshop height at a minimum and gives a clean, light contemporary look, where the Apex option maximises height and space, and gives a more traditional look and feel. You can select your wall lining - either wood or white - choose from single or double doors, and brighten your space with as many windows as you like. You can specify laminate, carpet, industrial or rubber floor coverings to suit your needs and upgrade from the basic level of insulation to keep those most vital of tools - your hands - fit for delicate work in the winter cold. 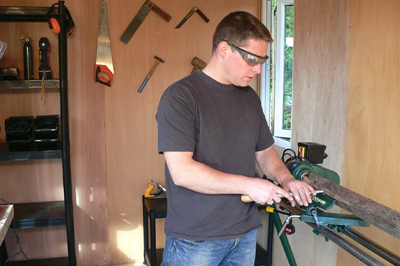 Pro Workshop's web 'configurator' sets out all the various options clearly and makes it simple to customise your own shed. It is easy to use: just drag and drop your choice of doors, windows, insulation and electrics from the toolbar onto your building elevations. A red/green background indicates whether you can put the item you've selected in the location you've chosen. You can also select the trim colour for your doors and windows, scroll through optional extras and, if that isn't specific enough for your needs, contact the company to discuss further options. Within the UK, Pro Workshop uses its own fleet of trucks and staff to deliver and install all workshops, a process that is normally completed within three days. Within a 100-mile radius of the factory site in Buckinghamshire, delivery and construction onto an existing concrete or slab base is included in the standard price. You can find the delivery charge for locations beyond this zone through the configurator, and if you want Pro Workshop to take care of everything, you can add on for them to construct concrete piles to support the steel legs of the base frame. Workshops can be delivered outside the UK, but arrangements for delivery and installation would need to be made independently. 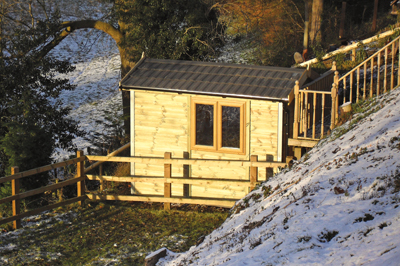 Designed for year-round use, all Pro Workshop garden workshops feature ceiling, wall and floor insulation. The windows and doors are made with uPVC-toughened Pilkington K Glass, with options for full or half glazing on the doors, and the galvanised steel base frame is designed to induce airflow. Ceilings have a bright white powder-coated finish, and the visible roofing is an olive-green vinyl-coated steel. Internal walls are fully lined with birch ply - no painting required - and external walls are treated redwood shiplap - no maintenance required. A vapour barrier eliminates any condensation problems, and an insurance-recognised locking system relieves any theft concerns - plus points both for drying timbers and precious tools. All timbers are sourced from sustainable and certified managed forests and all sheds come with a 10-year guarantee. All Pro Workshop products are manufactured in the UK using sustainable materials. The company offers a free site survey and consultation service and will carry out a ground survey to smooth the installation process. You can also visit the Pro Workshop factory in Buckinghamshire to be shown around the selection of buildings on display. Opening hours are 9am to 5pm from Monday to Thursday and 9am to 4pm on Friday. Saturday morning viewings are available by appointment.